What could be better than sitting down to read a good book? Nowadays, there are more ways than ever to get your literary fix. Many people still prefer the feel of a real book in their hands, of course, but for a growing number of others, consuming the written word through an eReader, such as a Kindle, Nook, iPad, etc., is the way to go. There’s nothing wrong with either approach and each has its advantages and disadvantages. If an eBook is your preference, however, the relatively recent advances in the publishing industry as a whole have opened up quite a few options for you. One such option is the 99c box set, which will be my subject for this article. Box set? How can you make a box set for an eReader? After all, there’s nothing physical involved, right? Well, technically that’s correct. In this sense, a box set is really nothing more than a group of books marketed and sold as a single collection. And it’s happening more and more. Inexpensively collections of eBooks grouped by genre are showing up all over the place and becoming increasingly popular. If you’re into a particular genre, then picking up 20 or more of your favourite authors’ novels for a steal at just 99c can be a very attractive proposition. If you’re a reader, the reason for buying one of these box sets is pretty clear – it’s much cheaper to buy this way compared to paying for each book individually. But what if you’re an author? Why on earth would you want to sell you book this way? Let’s assume, just for the sake of argument, the average eBook sells for $2.99. 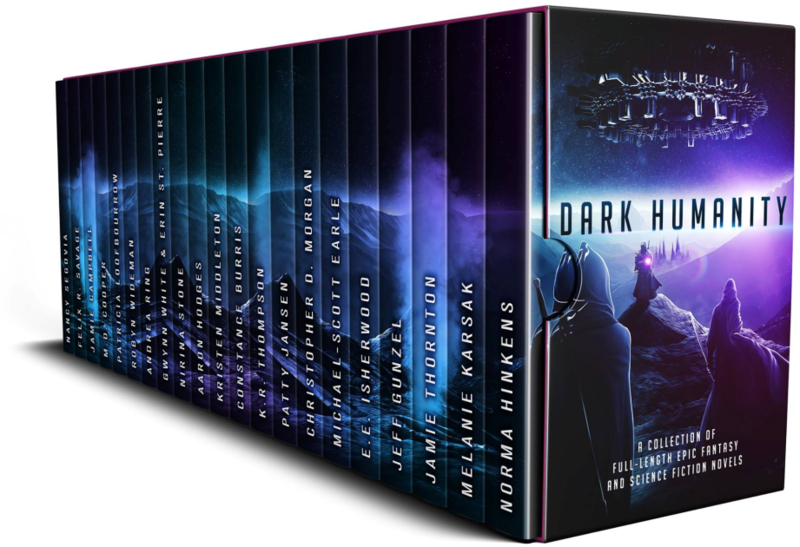 If you are but one of 20 authors participating in one of these 99c box sets, that equates to just 5c per sale that you would share in. The box set would have to be sold sixty times over to make up the proceeds you’d expect from just a single sale of your eBook. And then there’s the cost associated with participating in the box set to begin with, which can run into the hundreds of dollars. So what gives? For an author, it all comes down to economy of scale. If you’re an indie author like me, you have a limited marketing budget and you have to spend it wisely. If I have, say, $500 in my pocket to spend on marketing, there are a few things I could do with that money. I could spend it on Google adwords or a Facebook ad campaign or some other book-marketing tool to try to get the word out about my amazing book. I could spend it all in one place or try to spread it out by doing various things at the same time. That’s fair enough but the truth is that marketing can be very difficult – especially when you’re competing in a sea of other authors all vying for the attention of the reading public. My $500 is probably not going to go very far and there’s only so many people that I can reach with that amount of spend. However, if 20 authors all have $500 to spend and they pool their resources, the collective marketing budget is now at $10,000. This is a whole different ballgame and some much-improved options begin to open up. You can reach more than 10 times the number of people with $10,000 that you can with $500 – perhaps even a LOT more. The adage you have to speculate to accumulate come in to play here. There’s an interesting phenomenon that can sometimes play out when marketing books. If you sell enough, you start to make it onto various list, like Amazon’s top 100 books in a genre, or the USA Today or New York Times best-sellers lists, etc. Once you make your way onto one or more of these lists, you’re exposure goes up dramatically and more people buy your book. The more people that buy your book, the higher up the lists you go and the more exposure you get, etc. It almost becomes self-sustaining and you see an exponential growth in sales over a relatively short space of time. For many, this is the allure behind participating in a 99c box set. It can be a quick way to gain notoriety, exposure and sales. The 99c box set can be a win-win for all concerned. The reader gets more for their money and, if the marketing is done well, the participating authors can all do well form it also. 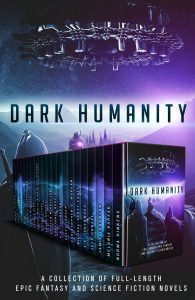 A new box set that I’m participating will be out in January, called Dark Humanity, which is a collection of Fantasy & SciFi novels. Get it now...for just 99c!